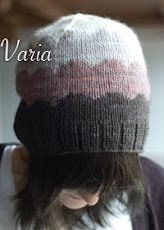 It's written for four yarns (Tosh DK, Schulana Lambswool, Schulana Angora Fashion, and Noro Silk Garden) but you can use more or less, and mix and match any combination of DK/light-worsted-weight-ish yarns. 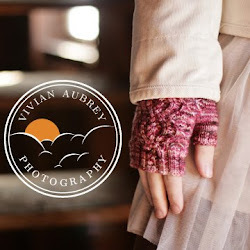 The goal is to mix color, texture, and (to a lesser extent) gauge to get, as one tester called it, kind of a "patchwork hat." Sooo good for using up scraps! And of course, don't forget the all-4-yarns pompom! totally fuzzy cute. love it. How long until we can buy wholesale? My customers will lurve this!!! I love the patchwork look! Plus, I have tons of scraps I can't seem to part with. This would be an awesome stash-buster! I love the subtle color variation in the yarns you chose, but I can also see this funkified, mixing commercial and handspun yarns. This is very cute; I love the mix of texture, color, and pattern! I look forward to using up some tiny scraps on this baby. 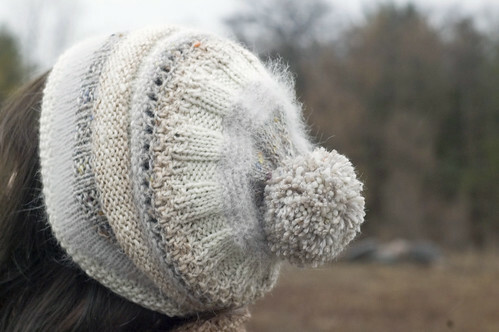 Love the hat, and can't wait for the mitts.